Are you obsessed with thoughts about dying? 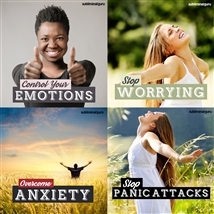 Want a quick and easy way to alleviate your anxieties? Thinking about death is natural, but when those thoughts take over your mind they stop you from living your life to the full. You only get one life, and you owe it to yourself to make the most of it. With the Overcome Fear of Death subliminal session, you'll rediscover your zest for life from the inside out! As you listen, thousands of powerful positive affirmations will influence your thinking, helping you start living again. You'll begin to focus on making every second count, taking each opportunity to enjoy life and its rich experiences. You'll be motivated to live your life rather than watching it slip by, welcoming every new day with anticipation and enthusiasm. Be fearless in the face of death! 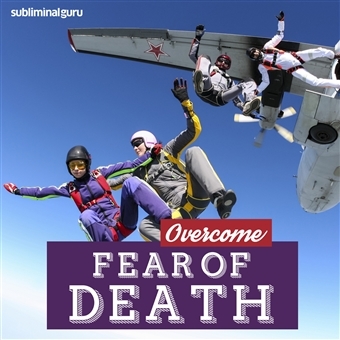 Download the Overcome Fear of Death subliminal audio now to reaffirm your passion for living. I am focused on enjoying life. I speak openly about death. I am relaxed at funerals. I have a realistic attitude to death. I can think about death calmly and rationally. I am in complete control of my thoughts. I know that death is a long way away. The idea of death is easy for me to deal with. I focus on living in the here and now.